Azadeh Alizadeh is an internationally trained lawyer from Iran. She has worked in different areas of law including international law, contract law and family law. She has been a successful judge for three years in small courts in Iran and has performed assistance helps to the benefits of needy persons in courts. She attended the Hague court in connection with file of automobile industry with other lawyers. Presently, Azadeh is an attorney with DTA and Life Controller companies in the field of medicines and medical equipments with outstanding success. 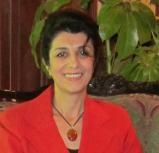 Azadeh holds a Master of International Law degree from University of Tehran. Abena Apraku joins the 15-16 Global Professional LLM cohorts with over seven years of experience in the financial services industry. As a Team Leader in the commercial underwriting department at Chubb Insurance, she strategically manages and underwrites a portfolio of over $12M in premiums along with a team of underwriting associates. She is also responsible for marketing and selling the company's professional services product designed for law-firms, Accounting Firms, Advertising Agencies, and Management Consultants. Prior to working at Chubb Abena was a top personal lines agent at Belairdirect Insurance. Abena holds a bachelor of social science in International Development and Globalization from the University of Ottawa and a Certified Risk Manager Designation (CRM). Her desire to pursue the GPLLM graduate program stems from her international upbringing and keen interest in viewing business from a global perspective. Rodrigo Arias is an International Trained Lawyer from Mexico with strong experience in Corporate Law; he has a background of several years of involvement in the Pharmaceutical field working closely with companies such as Johnson & Johnson, Merck Sharp & Dohme, Schering-Plough, Janssen-Cilag, Abbott Laboratories and AbbVie Pharmaceutical. Ever since he relocated permanently to Canada in 2014 he has been providing external legal counseling for the Mexican affiliate of AbbVie Pharmaceutical. He formerly provided legal services as well for the Mexican affiliate of Abbott Laboratories. Rodrigo holds a Bachelor’s Degree in Law from Mexico, as well as diverse certifications such as a Data Privacy Certification granted by the Personal Data Protection Agency in Mexico, just to mention one. François Cartier has over 15 years of experience spanning across energy & utilities, strategy & operations consulting, and private equity investments. He currently serves as Director, Acquisitions & Partnerships for Hydro-Québec. Prior to joining Hydro-Québec, François was a corporate development advisor to EnerCare, a TSX-listed company, and Director of Energy Investments, at Caisse de dépôt et placement du Québec, responsible for direct private equity energy investments in gas and power. François began his career with Ernst & Young Consulting, now part of Paris-based Capgemini, before moving to Direct Energy Marketing Limited, a wholly owned subsidiary of London-based Centrica, as Manager of M&A. François is an industrial engineer, registered with the Ordre des ingénieurs du Québec and obtained his Bachelor of Engineering degree from École Polytechnique de Montréal. He holds a Master of Business Administration degree from the Rotman School of Management at the University of Toronto with a double major in Finance and Global Management. François is a member of the Institute of Corporate Directors and completed the Not-for-Profit Governance Essentials course. He is a trustee for the $30 million endowment fund of École Polytechnique de Montréal and serves as Treasurer and member of the board of directors for the Fondation des Camps Odyssée, a registered charity making the transformative summer camp experience accessible to children with special needs. Jesusa Chow has 18 years of experience in the pension industry. Jesusa currently manages a team of fifteen staff in the Member Services area of the Administration Division of the OPSEU Pension Trust. With assets of $17.5 billion, the OPSEU Pension Trust invests and manages one of Canada's largest pension funds and administers the OPSEU Pension Plan, a defined benefit plan with more than 86,000 members and retirees. Jesusa oversees a team delivering front line communications, guidance and transactional services. Jesusa also has experience in developing business processes, staff training and development, collective bargaining and delivering pension presentations across Ontario. Jesusa holds an Honours Bachelor of Arts Management degree from the University of Toronto. She holds the Certified Employee Benefit Specialist designation from the International Foundation of Employee Benefit Plans and Dalhousie University, the Canadian Securities Course, and has recently completed the Osgoode Certificate in Pension Law from York University. Vanessa Dupuis is a Research Co-ordinator at the Office of the Auditor General of Ontario. In this position, she provides research support to an Audit Manager and Audit Team preparing and executing value-for-money audits in the Health portfolio. She also serves as a Co-ordinator for other research assignments. After completing her Master’s degree, Vanessa was one of ten national candidates selected to participate in an internship program with the Ontario Legislature. Her prior work experience includes eight years as an entrepreneur with her own sports training business and summer employment positions in the sports training field. These positions included her appointment to the position of Manager and Interim General Manager of a $10 million business. Vanessa’s management and training skills also led to her appointment as Head Instructor for an International Men’s Hockey Team training camp. Vanessa holds a Master of Arts in Public Policy and Administration from the University of Guelph/McMaster collaborative program, and an Honours Bachelor of Arts degree from the University of Guelph. Kristen Ede has over 20 years of experience in the commercial real estate industry. As the former Senior Director of Canadian operations for New York based Kimco Realty Corp. (NYSE:KIM), Kristen acquired over 100 properties worth over $1.5 billion in four asset classes (retail, hospitality, office, industrial) and asset managed more than 145 properties with 13 operating partners. Throughout her 9 year tenure at Kimco, in addition to acquisitions and asset management, Kristen underwrote acquisition facilities, corporate and mezzanine loans, completed complex restructuring of existing partnerships, multiple take-over analysis of public REITS and over 45 asset dispositions. Prior to joining Kimco, Kristen was the Vice President Asset Management at privately held Talisker Corp and held progressive positions culminating to General Manager at Trizec Office Properties (NYSE: TRZ). Kristen holds a Masters of Business Administration (MBA) from Queen’s University and an Honour Bachelor of Commerce (HBComm) degree from Lakehead University. In addition, Kristen has completed Executive Management Certificates from Harvard Graduate School of Design (Women’s Real Estate Leadership Forum) and Harvard Business School (Real Estate Management Program, Developing Future Leaders). In addition to volunteer work with “Out of the Cold” and through various initiatives at her Church, Kristen is an avid tennis and hockey player and is enjoying teaching these sports to her 6 year old daughter. Warren H. Finlay is an operations executive with extensive experience from Rothmans Benson Hedges Inc., one of Canada’s exceptionally well run global organizations. Warren has a reputation for creating leaner, more productive and profitable operations both in Canada and abroad. Warren is a successful team builder, people motivator and negotiator, skilled at streamlining and implementing new processes, systems and technology that result in greater efficiency and output who understands how critical supply chain management is to the success of an organization. He is committed to quality and creating superior products with a focus on customer service as well as building a reputation in the marketplace for a strong entrepreneurial spirit, broad business sense and for establishing trusting relationships. Warren holds a Masters of Business Administration from Rotman School of Business and Bachelor of Industrial Engineering Technology from Ryerson Polytechnical University. Francisco Gámez-Arcaya has more than fifteen years of experience advising clients in cross-border transactions. Since his very first years as a Venezuelan lawyer, Francisco has been involved in some of the most important project financings, M&A, and capital market transactions of his country. In 2006, Francisco founded a law firm in Caracas, and he still assists many clients in energy and construction projects in Latin America. Francisco holds a LL.M. degree from Cornell University and a specialisation degree in tax from Universidad Católica Andrés Bello, where he also obtained his law degree in 1997. Francisco has been a law professor on Contracts and Capital Markets at Universidad Monteavila for more than ten years. He has been listed by Best Lawyers as a top Venezuelan corporate lawyer. He is also a regular contributor to World Bank’s Doing Business project. Francisco writes regularly on politics, history, and literature and his articles are published by many Venezuelan newspapers. He also serves as the only lay member of the board of directors of Regnum Christi Movement, in Rome, Italy. He is married and has four children. Karen Garett is a policy professional with extensive strategic policy experience in the areas of Aboriginal litigation, Crown constitutional obligations, local government administration, and dispute resolution and arbitration. Karen has held progressively senior roles within the provincial government managing stakeholder relations and/or supporting businesses, Aboriginal communities, and municipalities navigate land and resource use, social housing development, and strengthening public administration capacities. She is currently the Manager, Municipal Structures Policy at the Ministry of Municipal Affairs and Housing. Karen holds an Honours Bachelor of Public Affairs and Policy Affairs and Policy Management from Carleton University, an Honours Masters in Diplomacy and International Relations from Seton Hall University, with a focus in international organizations and foreign policy, as well as Honours post-graduate certificate in Alternative Dispute Resolution. As a lawyer in Libya Ibrahim Heiblo practiced in various law departments as in-house counsel and trial lawyer. His experiences in those arenas exposed him to all areas of law: criminal, civil and Islamic law. Employed through the Libyan Foreign Affairs Department, he was a member of the senior management team responsible for establishing the foundation of treaties of the African Union, as well as holding positions in the African Union commission in Tripoli Libya. These positions opened various opportunities to deal with African Delegates and have firsthand exposure to the global and international relations issues. Outside of his LLB from the University Of Benghazi, Libya, Ibrahim holds a LLM in International and Trade Law from Glasgow Caledonian University, Scotland, and MA in International Relations from University of Nottingham, England. When arrived in Canada, Ibrahim completed a Diploma in Paralegal Studies from Herzing College and is a Licenced Paralegal from the Law Society of Upper Canada specializing in Provincial Offences. Randy Hopkins has over 15 years of experience in policy and regulatory affairs, working with government decision-makers and other stakeholders to shape critical public policy outcomes and achieve strategic business needs. As a policy consultant for the Canadian Bankers Association, Randy works on behalf of 60 domestic banks, foreign bank subsidiaries and foreign bank branches operating in Canada to advocate for efficient and effective public policies governing banks and to promote an understanding of the banking industry. He has specialized in payment services as well as helping manage compliance with privacy, telemarketing and other rules impacting the financial services industry. Randy has held senior positions in the Ontario government, helping to implement the government’s mandate on key regulatory initiatives associated with protecting consumers and regulating market conduct. He has been an advisor to Cabinet Office, and has worked abroad at one of Canada’s consulates to represent Canada’s interests on foreign affairs and strengthen relations with the U.S. Randy holds an Honors Bachelor of Arts in Political Science from the University of Western Ontario. Hussam Jastaniah is an international candidate from Saudi Arabia who has ten years of global experience in business development. Before he came to Canada to complete his studies, he worked as Program Manager at Jeddah Municipality in Saudi Arabia. He was responsible for leading transformation programs using innovation and public private partnership as tools for implementation. Hussam holds an executive MBA from Telfer School of Management at University of Ottawa and a Bachelor of Veterinary Medicine and Animal Resources from King Faisal University. Saeideh Khazaei has over fifteen years of Contract Management experience in the Energy and Telecommunication Industry. As Commercial Contracts Manager at the Canadian branch of Huawei Technologies Co. Ltd., the leading global telecom manufacturer with $46.5 Billion revenue in 2014, Saeideh managed multi-million dollar master agreements to provide telecom infrastructure solutions and services to major telecommunication service providers in Canada. Prior to joining Huawei Canada in 2012, she was in Contract Management for ten years at Moshanir Power Engineering Consultants, a leading consulting engineering company active in the Energy Industry, where she negotiated multi-million dollar Engineering, Procurement and Construction contracts for mid and mega transmission lines, substations, as well as dams, Hydro, thermal, wind and solar power plant projects. Saeideh holds a Bachelor of Arts in English Language, augmented by contract negotiation and management certificates from several business schools and commercial associations. Her performance at Huawei Canada was recognized by four outstanding team and individual awards during her last three years of contribution with the company. Hanna Kim born in Korea, studied for 18 years in India and became the first Korean to obtain law degree in India. She is fluent in Korean, English and Hindi. She was with Hyundai Heavy Industries India office as a manager and looked after legal matters and Account Receivables. Prior to this, she was with the Consulate of Republic of Korea in Mumbai. She has co-authored a guideline "Invest in Korea." She has several certification in Mergers & Acquisitions law, Securities and Investment law and Medicine & Law to her credit. Hanna holds an LLB from ILS Law College, University of Pune. 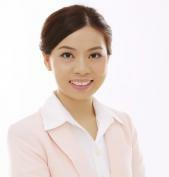 Jennifer Diana Lee is an investment professional with over 8 years of international experience. As an Assistant Portfolio Manager at Ontario Teachers' Pension Plan (with $154.5 billion in net assets), Jennifer advises on live deals and existing assets as a Relationship Manager to all private investment departments: Natural Resources, Infrastructure, Private Capital, Long-Term Equities, and Relationship Investments across all offices in Toronto, London and Hong Kong. She attends all underwriting and portfolio monitoring meetings across the fund and provides insight & analysis supporting the Chief Investment Risk Officer and other executive level audiences. Prior to joining OTPP, Jennifer was an Associate at Goldman Sachs in London covering One Delta trading strategies, Goldman Sachs Investment Partnership and Merchant Banking Division. She started her career providing Assurance & Advisory at Deloitte Growth Enterprise Services. Jennifer holds a Bachelor of Commerce from University of Toronto, and is both a Chartered Alternative Investment Analyst (CAIA) and a Chartered Accountant (CPA, CA). For the last 9 years, Sura Majed’s interest of globalization and its impact on law and business continues to grow as she moves from progressive roles in the financial services sector. 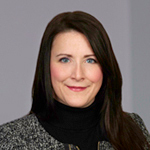 In her current position as a Capital Markets Documentation Team Lead with the Bank of Montreal (BMO), she reviews and advises senior legal counsel of potential risks caused by alterations to legal contracts and facilitates legal negotiations that bring benefits to all stakeholders involved. Prior to this role, Sura worked at BMO as a Senior Documentation Specialist and Services Representative where she handled legal documentation and investigated discrepancies. Throughout her career, Sura has collaborated with diverse business partners from across the world, where a global understanding of Canadian business law is needed. Sura holds a Bachelor of Law Degree from Nasser University in Libya. She loves travelling and discovering new places and often finds herself engaged in a variety of inspiring and exciting charitable work involving children in her community or internationally. 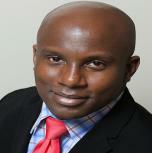 George Anthony McLaren is a licensed Paralegal and member of the Law Society of Upper Canada. He pursued his post diploma studies as a paralegal at Centennial College. His professional accreditation is complemented by a specialized degree in public administration with focus in the areas of law, justice and public policy, which he holds at York University. He also holds an associate degree in Business Administration from University College of the Caribbean in Kingston Jamaica. George has over 20 years of experience in his practice as a paralegal in his former home country Jamaica before migrating to Canada. He is currently building his practice as a legal services provider in Canada. 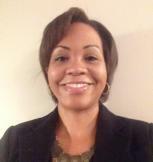 Nicole Miles is the Director, Business Development at Blake, Cassels & Graydon. In this role, she works closely with members of firm’s leadership to develop and implement marketing and business development strategies that support the Firm’s growth efforts. Creativity combined with strong business acumen is a particular strength of Nicole's and this is supported by her award-winning portfolio which includes an Associate’s Guide Marketing and Business Development - a training program which placed first in the national Legal Marketing Association Awards in 2015; a targeted advertising campaign to support the mining segment of her former firm's business “We Know The Drill” was recognized at the LMA's national and international awards in 2014, and her student recruitment campaign “Students Do Real Work," which won LMA’s best advertising campaign in 2013. Nicole has more than 14 years experience in professional services. Prior to joining Blakes 2016, Nicole was the head of marketing and business development at another national law firm and has performed business development and marketing functions at several large, corporate law firms as well as a major accounting firm. Yousef Mosaddeghi is an international trained lawyer from Iran. He practiced as a litigation specialist, and has participated in successful national legal projects in Iran such as making the most comprehensive legal database of Iran. After immigration to Canada, Yousef studied at the Department of Near and Middle Eastern Civilizations at the University of Toronto. Yousef has a bachelor of Law from Ferdowsi University in Mashhad and a Master of Arts from Tehran University of Art. Fern has been working as a Law Clerk at Blake, Cassels & Graydon for the past 5 years. She has worked on numerous cases in various areas of litigation and intellectual property and has experience in handling large-volume databases in Summation. She has assisted on many aspects of the discovery process and in trial preparation. Fern also has her real estate license and has been working as a successful real estate agent with Re/Max. Fern holds a Law Clerk Diploma from Seneca, a B.A. (Hon.) from York University and her real estate license with Re/Max. Alex Petrovic has over 18 years of experience in the financial services industry holding progressively senior roles at State Street Bank, Financial Models Company, Mackenzie Financial, TD Bank and CIBC. As a Vice President, Wholesale Banking Technology and Head of Business Technology Strategy at CIBC, Alex is responsible for management and leadership of large teams with accountability for multi-million dollar project and operational portfolios including FX, Fixed Income, Market Data, Business Intelligence and Analytics, Electronic Trading and strategic alignment of business and technology initiatives across the organization. Alex also chairs Wholesale Baking Data Governance Council and is a member of numerous committees including Wholesale Banking Operating Committee and Capital markets Authorized Products Committee. Alex has completed Level 1 of the Chartered Financial Analyst (CFA) Program, Project Management Professional (PMP) program, and holds a B.Sc. in Business Operations and MBA from Rotman School of Management at the University of Toronto. Derrick Raphael is a licensed Attorney with a passion for higher education access and interests in education law, policy and management. He has over 7+ years of progressively honed leadership experience in all areas of the graduate/professional, collegiate, secondary and elementary schools levels. Additionally, he has advanced knowledge and skills in development, implementation and evaluation of preparatory programs for students of varying ethnic and socio-economic backgrounds in the United States. He brings solid experience in business development and operations management and possesses a well-rounded academic foundation in public sector law and higher education management received from top academic institutions. Derrick holds a Bachelor of Arts in Sociology with a Higher Education Concentration from Princeton University. He also has a Juris Doctorate from Duke University School of Law. He remains committed to his higher education institutions and currently serves as Secretary for the Association of Black Princeton Alumni (ABPA) as well as Executive Vice-President for the inter-generational non-profit, ReachOut 56-81-06. Channpreet Singh has 4 years of experience in the public sector working for state and federal government agencies in the U.S. like the I.R.S. and the Consumer Financial Protection Bureau. Most recently, Singh served as the Chancellor’s Legal Fellow at the University of California, Davis, and worked on a number of issues ranging from faculty and staff employment matters, to tax and business transactions and contract disputes. Channpreet holds a Juris Doctor from the University of California, Davis, a Bachelor of Arts in Political Science and a Bachelor of Arts in International Studies from the University of California, Irvine, and is a member of the California State Bar Association. Yuji Takeda has twenty years of experience in the financial services industry. As Senior Vice President and Head of Japanese and Asian Business Promotion team at Toronto Office of Sumitomo Mitsui Banking Corporation (SMBC), he leads the team to build relationship with Asian customers doing business in Canada and to promote sales of financial products to them. Before transferred to Toronto three years ago, he was in responsible for both marketing and execution of project finance in NY branch and Tokyo headoffice. Prior to joining SMBC, Yuji gained ample experiences in cross-border financial transactions including workout of distressed assets in various countries at Cerberus Japan and Long Term Credit Bank of Japan (now Shinsei Bank). Yuji holds an MBA from Darden Business School at the University of Virginia in U.S.A and a Bachelor of Law (LL.B) from the faculty of Law at Kyoto University in Japan. 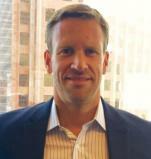 Kesrick Wainwright has over 7 years of experience within the financial services industry. As a Branch Manager within Private Wealth Management, Kesrick ensures that advisors adhere to the rules and regulations sanctioned by the financial regulators. Kesrick is responsible for drafting bulletins based on regulatory requirements, documentation reviews, suitability testing, managing New Client Application Form (NACF) approvals and ensures trading activities of the firm complies with the Universal Market Integrity Rules (UMIR). Prior to his appointment as a Branch Manager, Kesrick operated primarily as a compliance professional with the Investment Industry Regulatory Organization of Canada (IIROC), HollisWealth Inc. and the Investment Planning Counsel (IPC). Kesrick holds a Bachelor of Arts degree in both Economics and Political Sciences from McMaster University. Kesrick obtained his Canadian Securities Course (CSC), Conduct Practice and Hand Book (CPH), Branch Managers Course (BMC) and Partners, Directors, Officer (PDO) Course certificates from the Canadian Securities Institute (CSI). Alex Young is a specialist in government regulation with 12 years of experience developing regulatory policy. He began his career at Foreign Affairs, Trade and Development Canada in Ottawa where he negotiated resolutions on human rights at the United Nations General Assembly. Later he joined the office of Ontario’s Deputy Premier and Minister of Health and Long-Term Care to provide advice on the regulation of health human resources. Currently he works as part of a ministry team that manages a $20 million annual fund to provide centralized resources to Ontario’s mental health and addictions service providers. Alex holds a Bachelor of Laws from the University of London and a Master of Public Administration from the University of Victoria. In his volunteer time he is an insight meditation teacher at the Buddhavipassana Meditation Centre in Toronto. Yao Zhang is an internationally-trained lawyer from China with 10 years experience in civil litigation, tort and contract law. She is now a paralegal at Iuvo Legal, which she cofounded in 2014. Prior to her settlement in Canada, she worked in the prestigious litigation department in one of China’s largest national firms. Yao also worked for a Canadian national firm Ellis & Abadir for 4 years, primarily in litigation area. Yao holds a Master of Laws degree from Sun Yat-Sen University and a Bachelor of Laws degree from Nanjing University. She is a dedicated advocate for affordable and expeditious legal services and has published approximately 80 articles to offer step-by-step self-guide to resolve small legal issues. Qudsia Zia is a diverse civil Litigation Lawyer from Pakistan. she has litigated largest number of state and federal cases, including complex civil litigation that covered a broad range of legal issues like unfair business Practices and consumer class action. She worked in both small and largest law firms in the areas of family law and real Property law matters. During her career she has had the privilege of having been involved in her law firm team in some big public interest cases of wide social importance. Her last assignment was counsel to federal agencies in corporate affairs of Government and participation and counselling in signing bilateral agreements with other states. Qudsia has also been engaged in research at the Area Study Centre for Africa, North and South America, which is academically part of Quaid-i-Azam University, Islamabad. Qudsia holds an MSc, M.Phil in U.S Studies from Quaid-e-Azam University Islamabad, Pakistan and L.LB degree in Common law from Islamia University Bahawalpur, Pakistan. The reason for joining this GPLLM program is only to accredit herself into law Practice in Corporate law, which is the Prime motive for this degree.